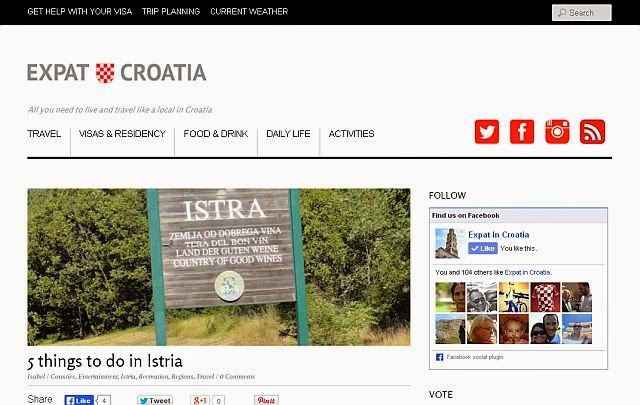 When Sara from Expat Croatia asked me to contribute the occasional article on Istria to her informative website, I was happy to oblige. Expat Croatia is one of the Croatia blogs I follow regularly for useful information on the practical aspects of living here. It also has many resources aimed at visitors, like flight schedules to Croatia, and articles featuring destinations and different aspects of this beautiful country. My contribution is a short article on ‘5 things to do in Istria’, which you can read on the Expat Croatia website here.